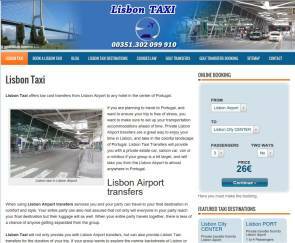 Airport transfer services from Lisbon Airport to its surrounding area. 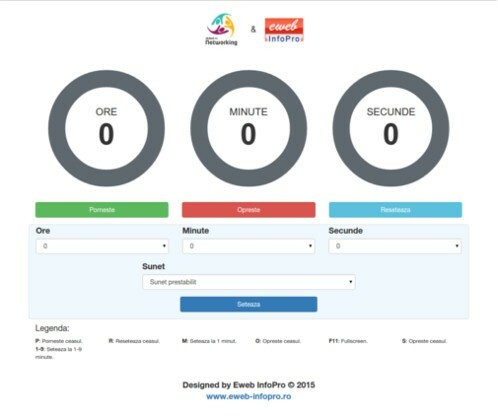 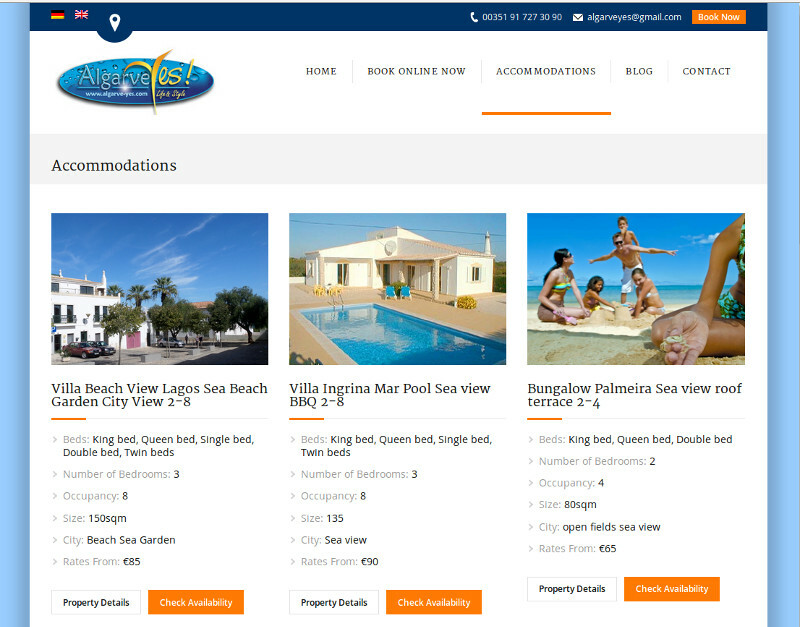 Online booking system option. 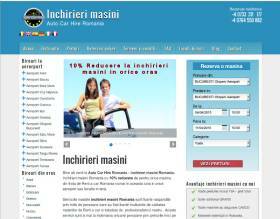 Car hire services in Timisoara, Romania. 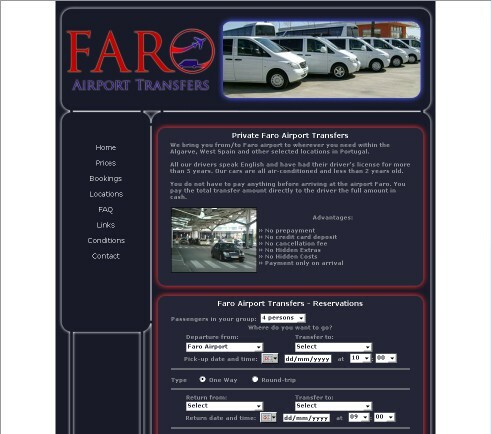 There is an online booking system. 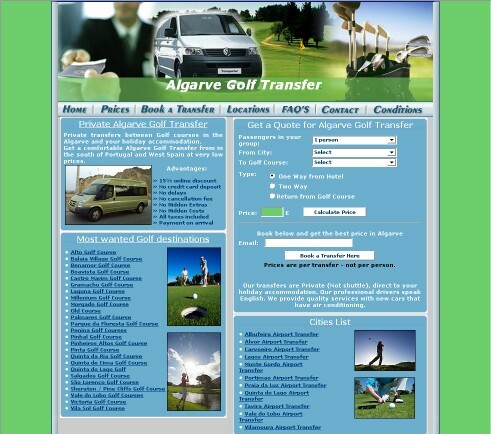 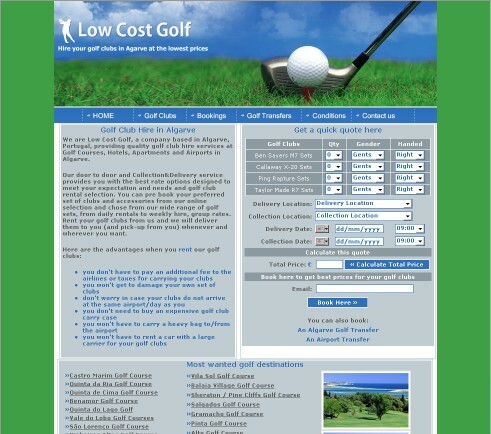 Golf club hire services in Algarve. 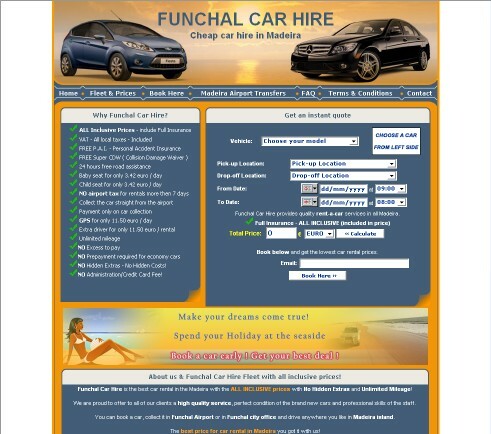 Online booking system option. 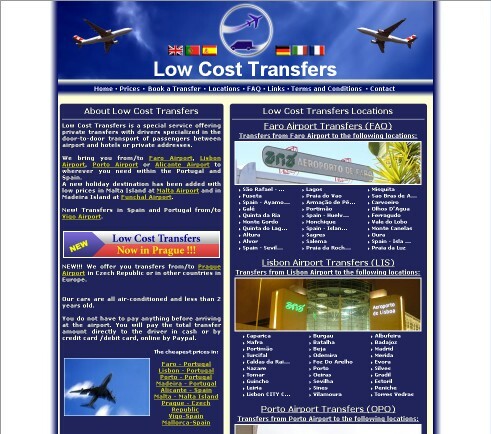 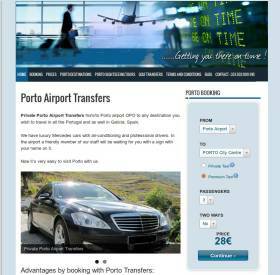 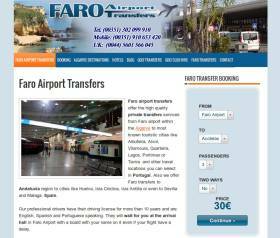 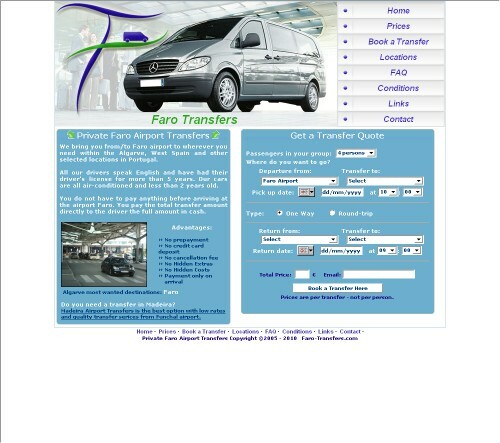 Airport transfers from Faro Airport to Algarve, West Spain and other destinations in Portugal. 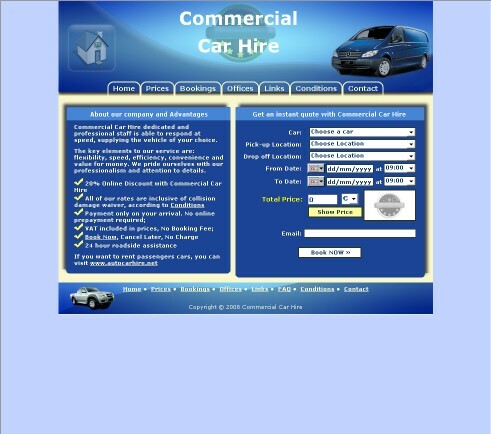 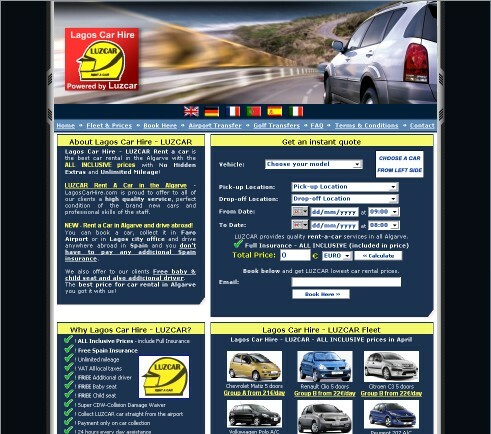 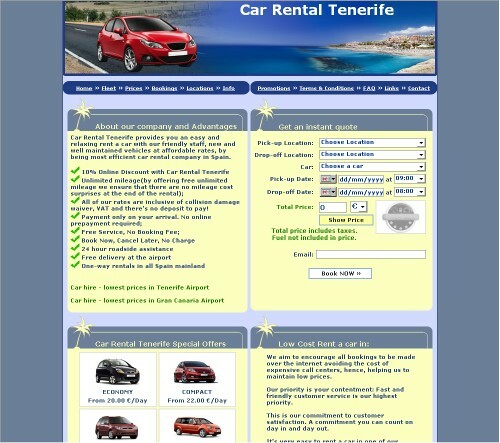 Car hire services in Lagos, Portugal. 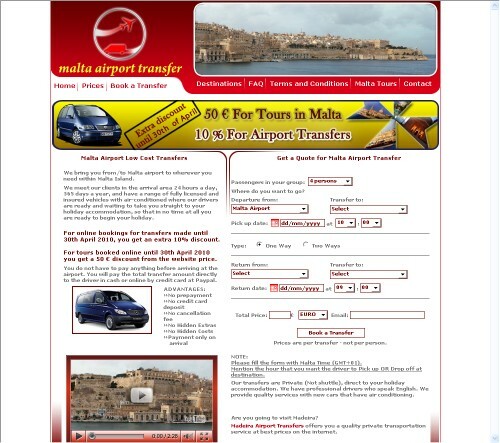 Online booking system option. 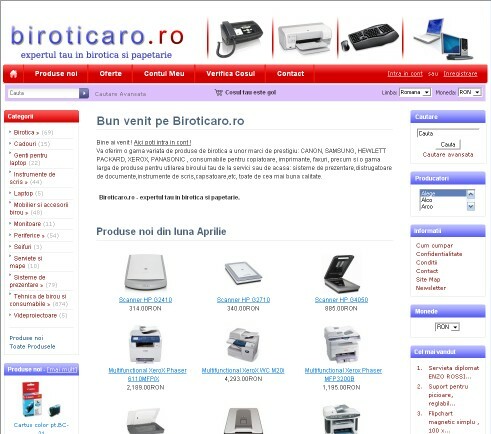 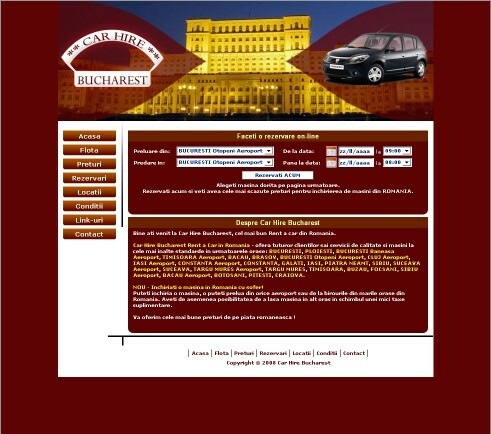 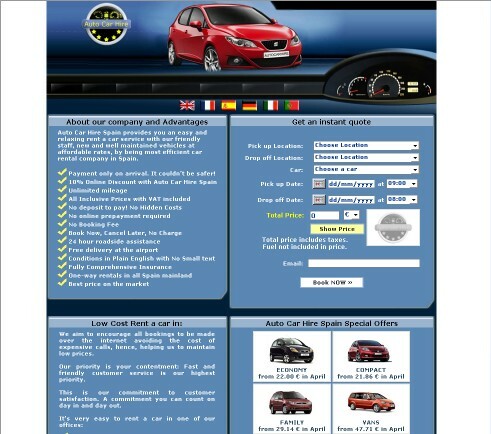 Car hire services in Bucharest, Romania. 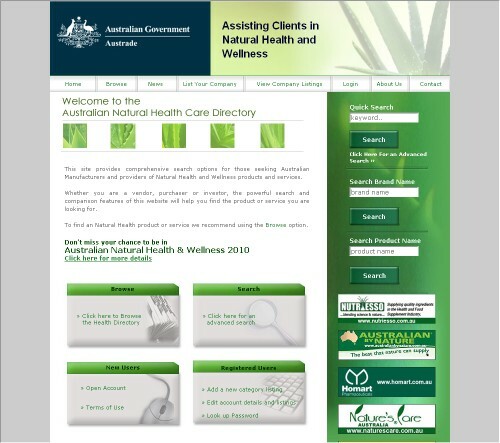 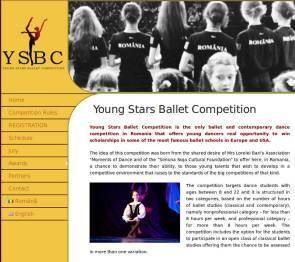 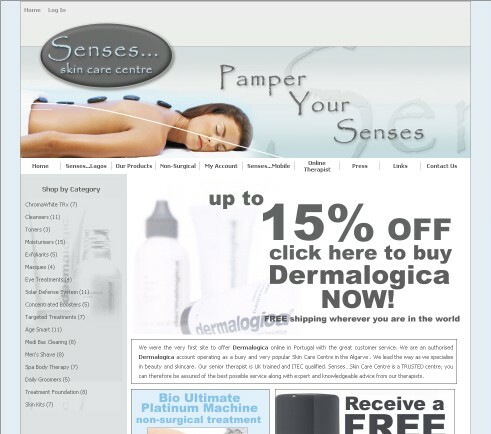 There is an online booking system on the website. 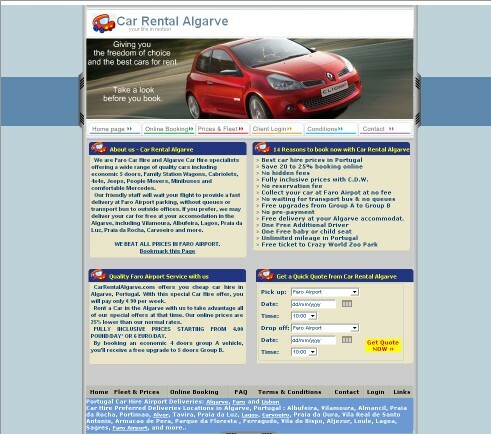 Car rental services in Algarve, Portugal. 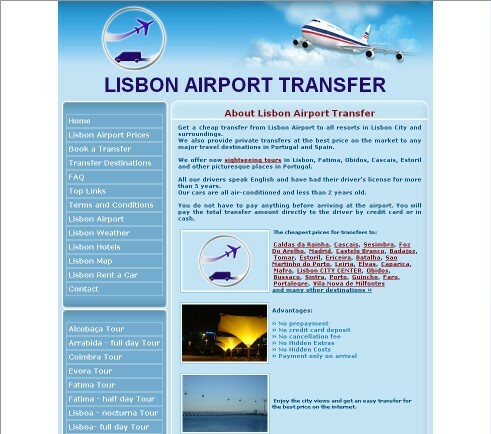 There is an online booking system on the website. 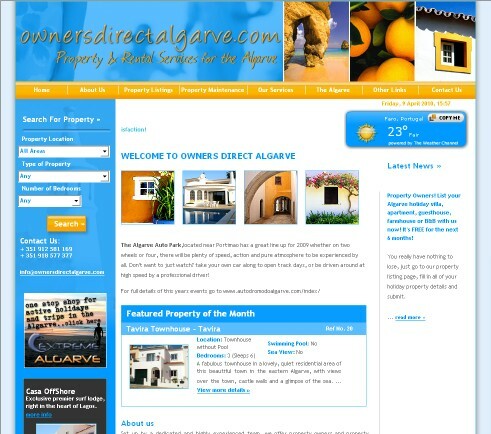 Property rental agents for the Algarve. 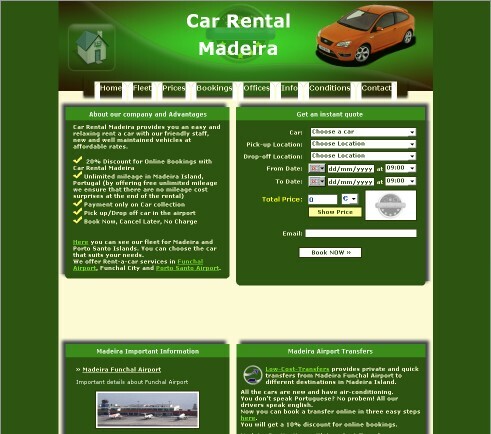 Car hire services in Portugal and Madeira Islands. 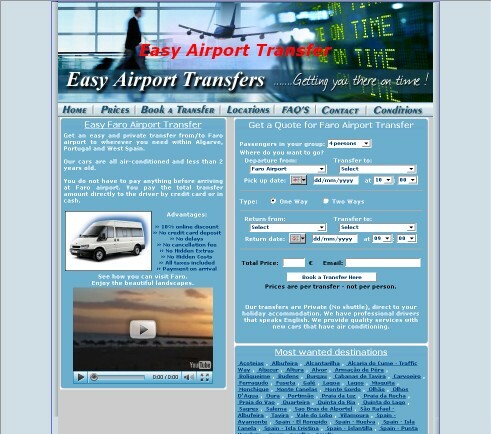 There is an online booking system on the website. 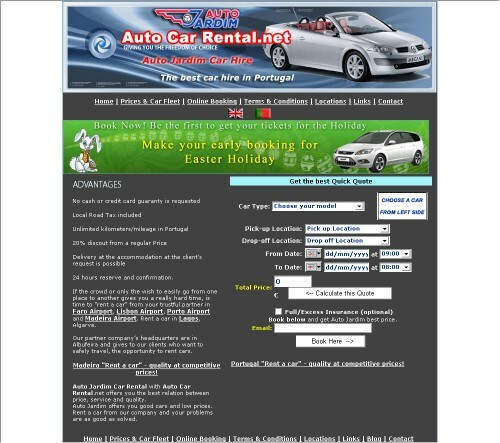 Car hire services in Romania. 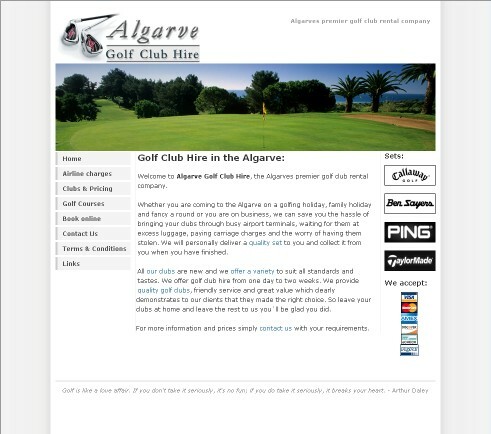 There is an online booking system on the website. 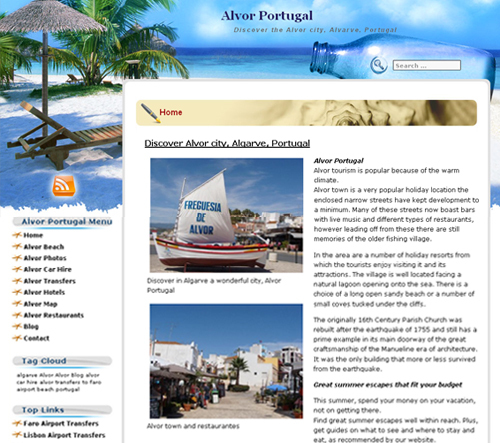 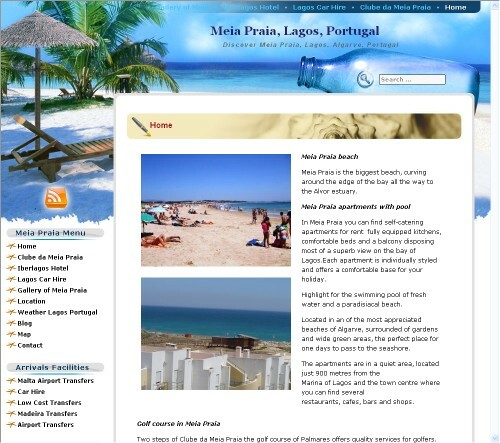 Here you can find holiday accommodation in Algarve and also local car hire companies.